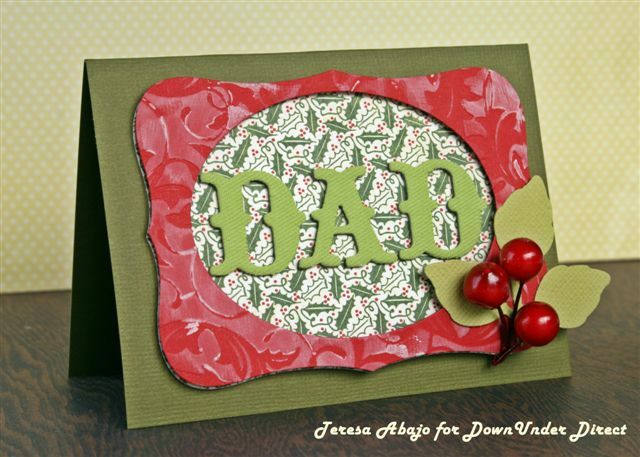 Here is a lovely idea for a placecard, just in time for your holiday entertaining. "I made a frame for the name on this placecard using a Labels Eight die and then an oval die for the centre. Before attaching it to the placecard, I embossed the frame and before removing it from the embossing template, I sponged a little acrylic paint over it to bring out the detail. I'll be needing a few of these placecards leading up to Christmas! Fortunately they are super easy to whip up."